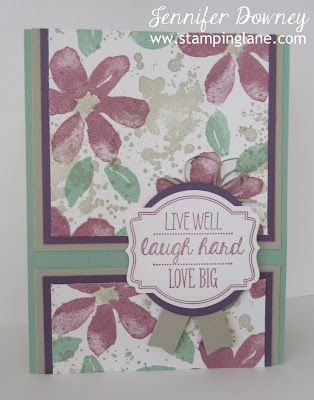 Feeling super-de-duper today since I found out that my floral card was a Top 3 Pick over at Create with Connie & Mary this week! Woo Hoo! In case you missed it, here's all the details for the card. Have a "stamperific" day!